Yes! We are building a brand new hospital for the residents of Cambridge and North Dumfries. 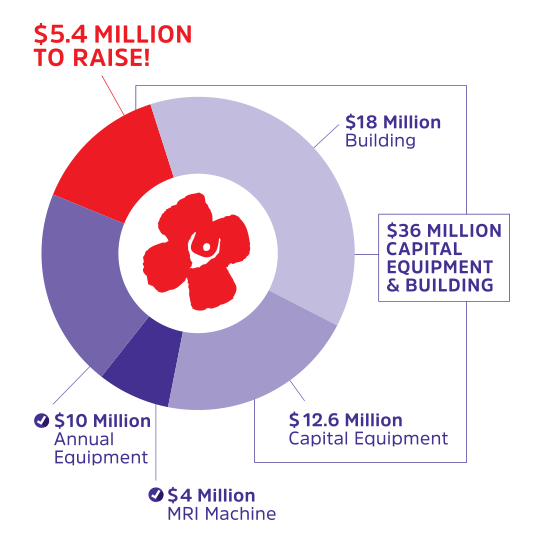 Our fundraising is focused on our $50M community campaign to expand and redevelop our hospital. With $5.4 Million left to go we need your help. Our goal is to put the best equipment possible into the hands of our physicians, nurses and staff allowing them to improve and save lives. The community portion of this campaign is based on 10% of Capital Building costs, and 100% of the equipment that needs to be purchased to outfit the new build. © 2019 Cambridge Memorial Hospital Foundation. Site by Ebb + Flow Creative & Barking Dog Studios Inc.